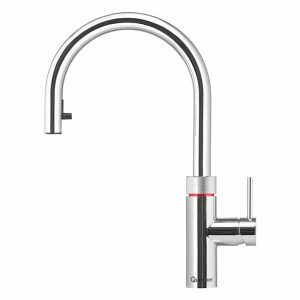 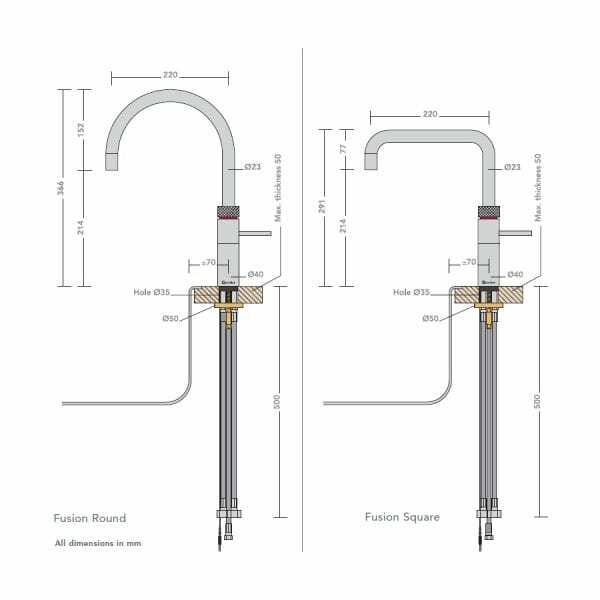 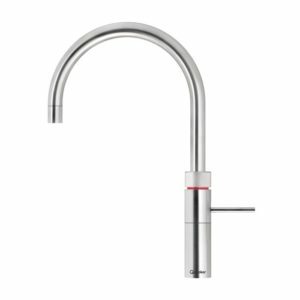 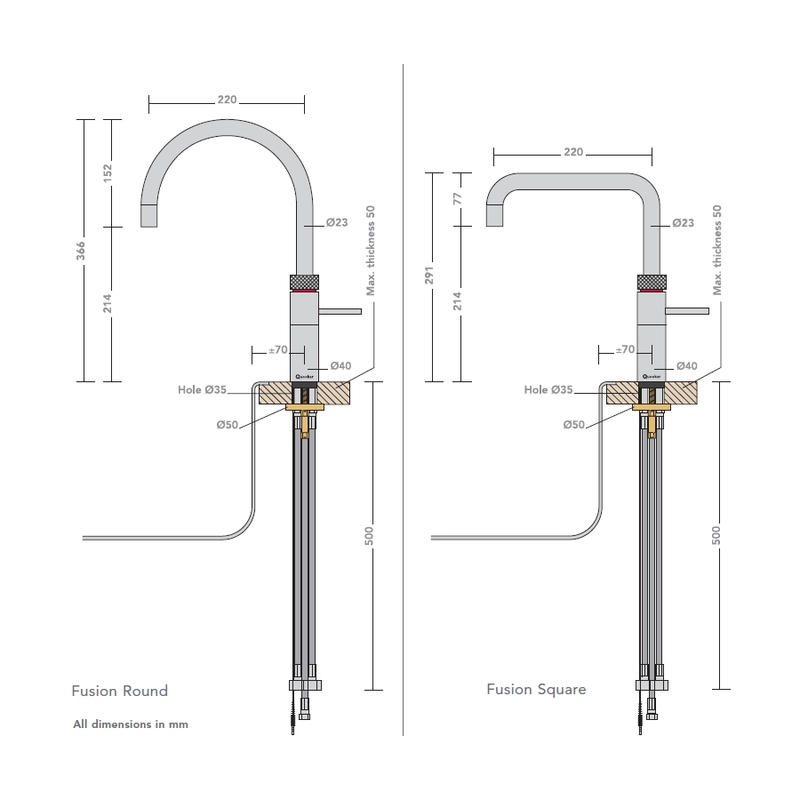 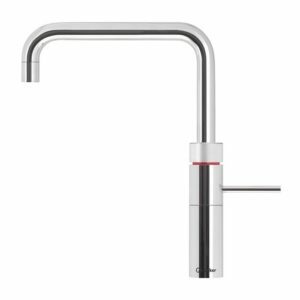 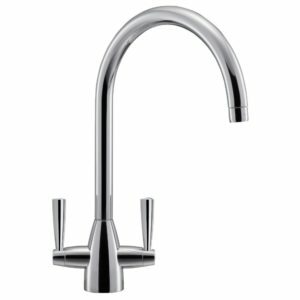 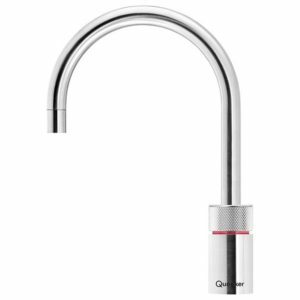 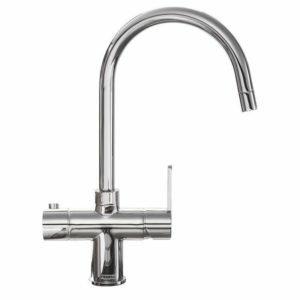 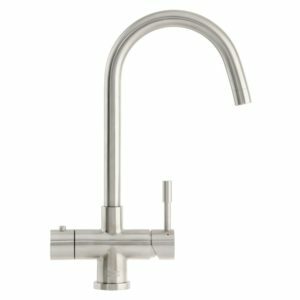 The Quooker Fusion provides hot, cold and 100°C filtered water from a single spout. 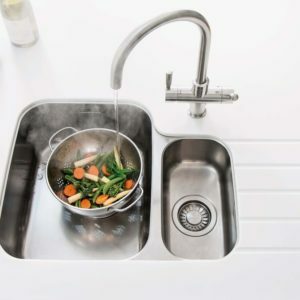 Its high-vacuum insulation means that it only costs 3 pence a day to have boiling water at hand exactly when you want. 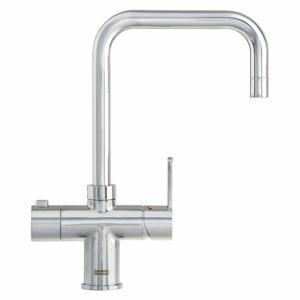 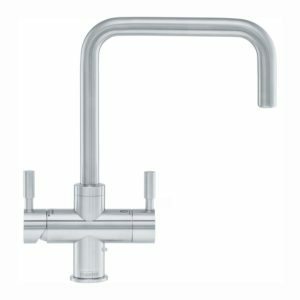 This is the Fusion Square model finished in polished chrome with a seven litre water tank and it can be converted to a 4-in-1 model with the addition of the optional Cold Water Filter kit.